Chelsea Angelo will make her ECB SuperUtes Series debut at Bathurst next month in a freshly-built Ford Ranger. Angelo has linked with an expanding Ranger Racing, which currently runs a single Ranger for Christopher Formosa. 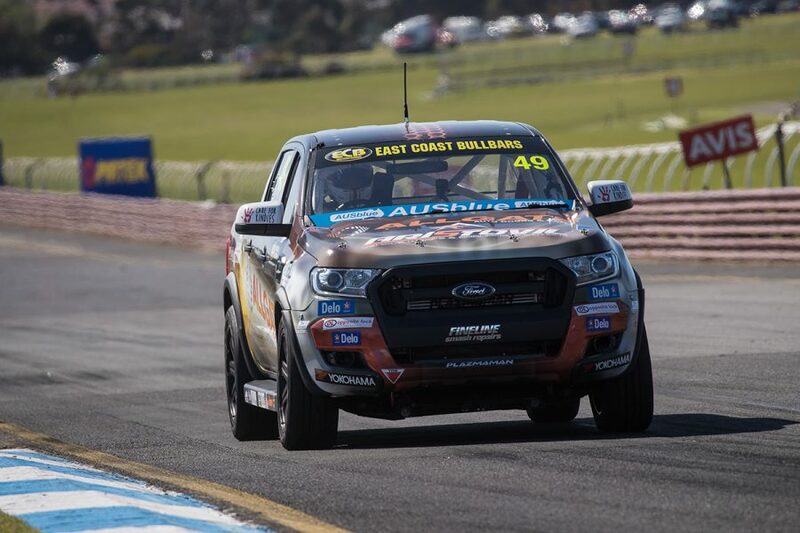 Allgate team owner Micheal Formosa – Christopher's father – announced last month that his squad will field a second Ford from Round 6 at the Supercheap Auto Bathurst 1000. The 22-year-old Angelo races in the Porsche GT3 Cup Challenge, sitting fifth in the points as a rookie, and has experience in the Dunlop Super2 Series, Formula Ford and Formula 3. After Mount Panorama, the inaugural SuperUtes Series moves to the Gold Coast and finishes in Newcastle. "Driving a Ute is something I've never done before, so to be driving this at Bathurst is going to be really different, really interesting in consideration with all the other categories that I've been doing," Angelo said. “It should be different. I'm pretty excited, it is always good to come back to Bathurst. "The first time I was at Bathurst was in Formula 3 and the second time was in a Super2 car, so I have been to Bathurst a couple times and it will be really good fun to drive one of these around there." As a SuperUtes newcomer at Bathurst, Angelo is set to join Charlotte Poynting, pending the completion of a new Western Sydney Motorsport Toyota Hilux. "It is great, I'd love to see more young girls come on-board and do actual racing and go against the boys as well," Angelo added. "It is always a good motivation to see other girls doing the same thing and obviously SuperUtes, or whether it is Super2, Porches or any other categories. "I love seeing other girls doing it, so it is a good step for them." The Victorian hopes the extra SuperUtes seat time helps her reach a long-term goal of making it as a driver in the Virgin Australia Supercars Championship. Currently, Simona De Silvestro is the only female in the main game, driving for Nissan Motorsport. "My ultimate goal is to reach Supercars one day, it has definitely been a dream of mine since a young age," said Angelo. "Driving in all these different categories, Formula Fords, Porches – which is what I'm doing this year – driving a Ute, it is just gaining me more experience in whatever car that I drive. "It has been a hard few years to get to where I am today, but I'm proud of my achievements and where I've gotten to. "It is also great to see Simona running in Supercars and to see some of the female engineers as well out there." The ECB SuperUtes Series will resume with Round 6 of the championship, as part of the Supercheap Auto Bathurst 1000.